Dr. Todd A. Ulery is a highly trained sports Doctor of Chiropractic in Scottdale, Pennsylvania. He is a graduate of Mt. Pleasant Area High School. 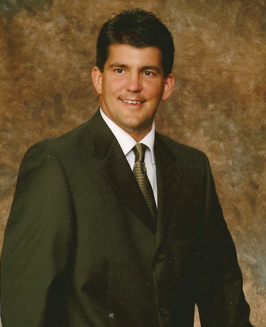 Dr. Ulery attended Washington and Jefferson College where he completed his undergraduate studies and played football obtaining all-american honors. He received his Doctorate of Chiropractic degree from Logan College of Chiropractic in 1992. In 1997 he received certification as a Chiropractic Sports Physician by the American Chiropractic Board of Sports Physicians. Dr. Ulery became interested in the field of Chiropractic after experiencing the positive effects of chiropractic treatment as a result of an injury he sustained while playing baseball in high school. His interest in all sports has influenced him to specialize in sports medicine and treating athletes of all ages and levels. Ulery Chiropractic was established in 1994 and after 20 years Ulery Chiropractic (Spine, Sport & Rehab) continues to provide comprehensive sports injury and rehabilitative care. Dr. Ulery utilizes sports medicine techniques to treat both athletic related and non- athletic related injuries and conditions. These techniques have proven successful in treating patients of all ages with injuries resulting from general daily activities. This experience has also allowed Dr. Ulery to provide comprehensive chiropractic care and successfully treat patients with automobile as well as work related injuries. Dr. Ulery has an extensive post-graduate education and professional experience in diagnosis and treatment of spinal and extremity musculoskeletal injuries. He has completed hundreds of hours of post graduate continuing education in rehabilitation, sports injuries and physical fitness. He spends a lot of time working with young athletes in his office as well as in the community. He is one of the team doctors for the Mt. Pleasant Area High School and also works with and is affiliated with several other local high schools. Dr. Ulery has been a long time member of the Pennsylvania Chiropractic Association as well as a member of the American Chiropractic Association. Dr. Ulery is Board Certified by the National Board of Chiropractic Examiners and the American Board of Chiropractic Sports Physicians.